Welcome to Norecopa's fourth newsletter in 2017! We have decided to issue Norecopa's newsletters in English only from now on. We hope to see a large increase in the number of subscribers from other countries. Please share this with your colleagues and friends! Our paper about the PREPARE guidelines has been accepted for publication in the journal Laboratory Animals. and will be made freely available by Open Access. This will probably be just before the World Congress on Alternatives and Animal Use in the Life Sciences in Seattle (20-24 August). Norecopa's secretary will have two oral presentations, one on PREPARE and one on the work of Norecopa, at this congress. Please note: We have also made a 2-page version of the PREPARE guidelines as an easy-to-use checklist for planning animal experiments. This will serve the same sort of purpose for scientists planning animal experiments as the ARRIVE checklist does for reporting such work, but there are significant differences, since there are many important factors to be considered when planning animal studies which do not need to be reported. This checklist is currently being translated into 8 languages. All versions of the checklist will be available on the PREPARE website for free downloading as soon as the paper is published in Laboratory Animals. If you have any questions, please contact Adrian Smith. More details in our next newsletter. 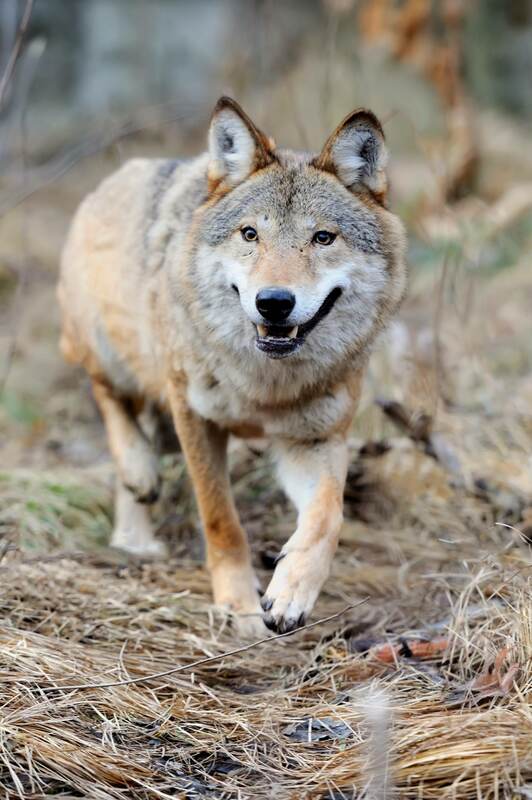 Registration is now open for Norecopa's international consensus meeting entitled Harmonisation of the Care and Use of Wild and Domestic Mammals and Birds in Field Research, which will be held at Oslo Gardermoen airport on 26-27 October this year. In order to meet our commitments to the hotel, we need as many registrations as possible by 20 August. We may be able to extend this deadline if there is sufficient interest. Please register early! Please download and circulate the flyer about the meeting. 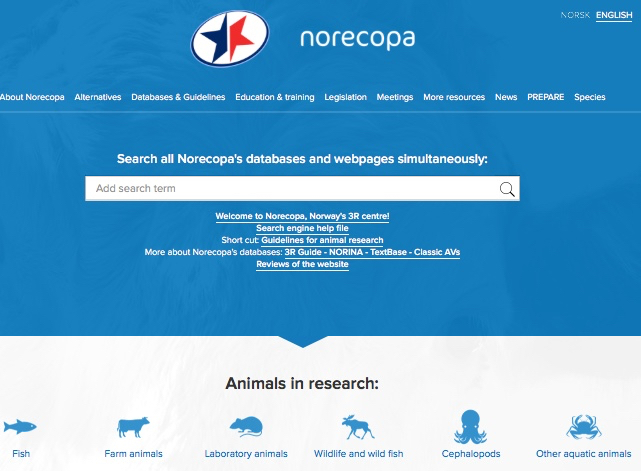 Norecopa's aim is to offer a global, one-stop shop of resources within Laboratory Animal Science and the Three Rs. Norecopa's current website, https://norecopa.no was launched on 31 May 2016. It integrates four databases, two websites and an intelligent search engine, all of which previously had separate addresses (more about this here). Now, all can be searched and accessed from the one site and search engine. We have gone to extreme lengths to ensure that the vast majority of old addresses point to the equivalent page on the new site. The consolidated website currently consists of 6,100 pages containing over 22,500 unique external links. Of these pages, approx. 3,300 pages are entries from the NORINA database (alternatives or supplements to animal use in education and training), 1700 from the TextBase database (literature within Laboratory Animal Science and related topics) and 340 from the 3R Guide database (a global overview of databases, guidelines, information centres, journals and email lists). The front page contains 10 main menus, with submenus. We recommend users to spend some time examining the submenus, as these contain a great deal of information. Examples are a comprehensive and up-to-date Meetings Calendar, a newsfeed, a list of alerting services, films and slide shows, and a large range of 3R tools under "More resources". The search engine is easily visible as a white field across the home page (on all other pages it forms an expandable box in the top right hand corner). Several help files and guides are available underneath the search field. Clicking on Norecopa's logo at the top of each page will always return you to the home page. A dynamic site map and a range of shortcuts are present at the bottom of every page. There are also shortcut icons on the home page for users wishing to go directly to information about specific species, and for those particularly interested in science, education and training, or animal welfare. The website has been accessed over 56,000 times since it was launched, with over 140,000 page views. We use an automatic Broken Link Checker to monitor the external links on the website. Currently less than 4% of these are broken. We repair these at regular intervals, as websites change their addresses or die out. The number of broken links on archived newsletters is, however, bound to increase, as media remove old material from their websites. Please use the feedback buttons or feedback form on the bottom of each page, or send us an email if you discover errors or wish to submit suggestions for new entries. 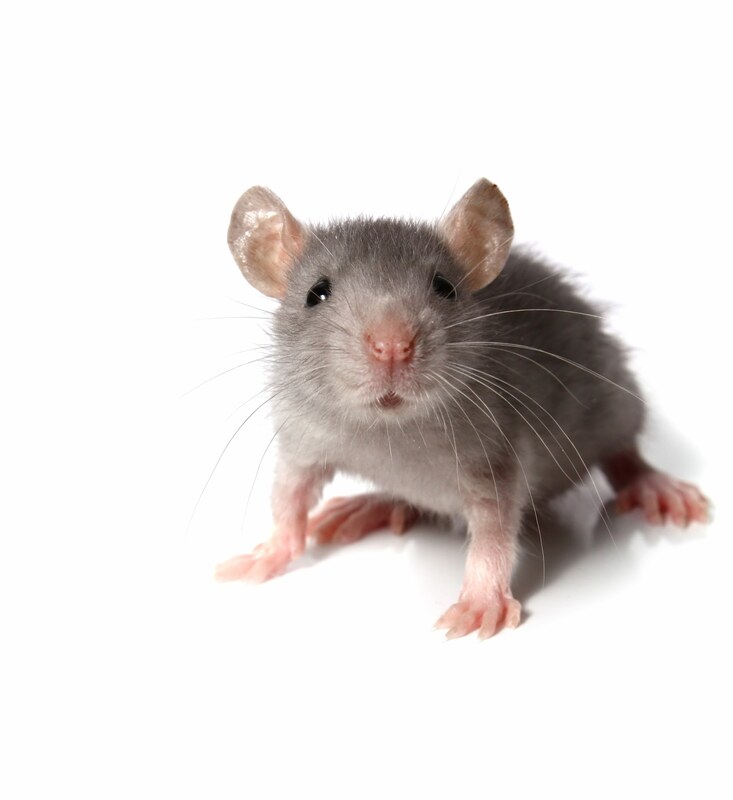 Genetic alteration of laboratory rodents may affect their welfare. To comply with EU Directive 2010/63, potentially harmful phenotypes must be characterised and their effects reduced to what is strictly necessary for the experiment. Detailed guidelines for this work have been produced by the Working Group of Animal Welfare Officers in Berlin. The Guidelines are published in Laboratory Animals. In addition to background information on severity classification, the Guidelines include examples of the classification of the symptoms in a range of disorders. They also include recommendations on the number of animals required to evaluate an increase in harmful phenotypes in mouse and rat lines, and a large number of literature references. These Guidelines reflect the Group's initial experiences in defining the severity degrees of genetically altered lines and should prove useful when assigning categories of severity to animal studies. Line-specific properties, varying manifestation of symptoms and institution-specific housing conditions must be taken into account when the severity degree is selected. The Group welcomes feedback on the categories of severity mentioned in the Guidelines, and further examples. The Guidelines will be continuously reviewed and extended. The Guidelines were presented at Norecopa's annual seminar in Oslo by the lead author, veterinarian Anne Zintzsch from the Max Delbrück Center for Molecular Medicine in Berlin. Her presentation was entitled "How to assess welfare in genetically altered animals". The Minutes of the Annual General Meeting (in Norwegian) are available here. The British organisation Universities Federation for Animal Welfare (UFAW) has announced details of this year's 3Rs award of up to £20,000 . The deadline for submission of an initial Concept Note is 24 July. Last year's award went to Professor Michael Mendl, Professor of Animal Behaviour & Welfare at the University of Bristol, for his project “Developing new thermographic methods to assess emotional valence by measuring thermal lateralization”. This project aims to confirm the use of thermography as an indicator of emotional wellbeing and will study cattle and hens. The ultimate aim is to develop a prompt, accurate and cost-effective welfare measurement method that can be used under lab and field conditions, and generalised to other animal species. Dr. Nuno Franco at the University of Porto is currently, also with an award from UFAW, testing whether low-cost thermal cameras can be used to measure animals' body temperature non-invasively. UFAW's Senior Scientific Programme Manager Huw Golledge co-edited a special edition of the journal Laboratory Animals which focuses on current best practice for identifying and reducing pain and distress in laboratory animals. 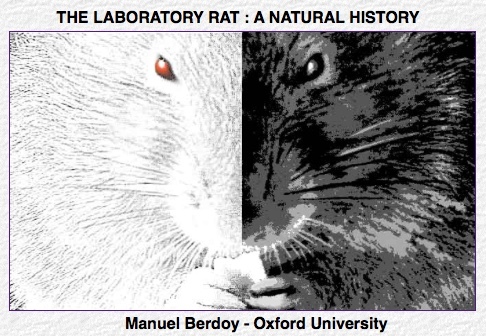 Many students of Laboratory Animal Science and Biology will be familiar with the film "The Laboratory Rat - A Natural History", written and produced by Dr. Manuel Berdoy of Oxford University. Until recently, the film was only available on CD-ROM, accompanied by a website. The entire film is now available in broadcasting quality on YouTube. More information, including a link to a review of the film in Laboratory Animals, is available on Norecopa's website. This film gives a fascinating insight into the wide range of behaviours, still present in laboratory rats, which cannot be expressed under standard laboratory conditions. 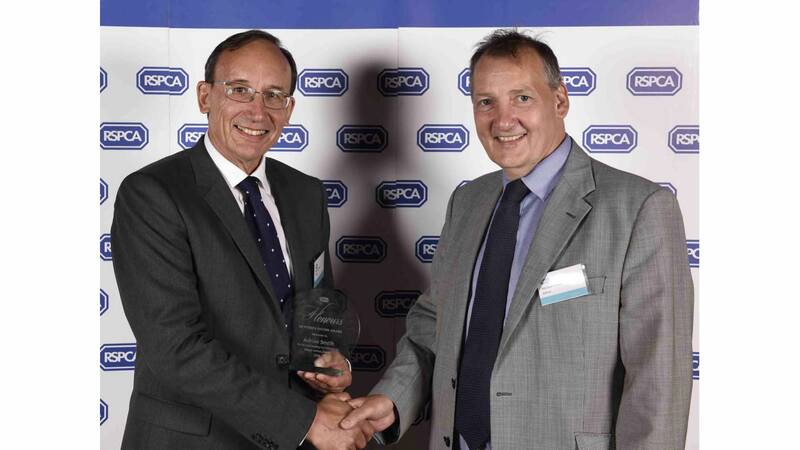 The Royal Society for the Prevention of Cruelty to Animals (RSPCA) held a ceremony in London on 17 June to present awards to a large number of people who have worked to improve animal welfare and reduce suffering, for all groups of animals. One of these awards is the Sir Patrick Moore award for 'outstanding contributions to animal welfare science', which was established in 2014. This year's winner was Norecopa's secretary, Adrian Smith. A press release describing the background for this choice may be read here. Denmark was host to this year's very successful Scand-LAS Symposium and Educational Days, from 30 May to 2 June. Among many excellent presentations on 3R-related topics, we would like to mention Rikke Langebæk of the University of Copenhagen, whose team presented a wide range of innovative replacements for animal use in education and training. Many of these are hand-made simulators, and are highly recommended. In an excellent interactive workshop on design and statistical analysis of animal experiments, the Researcher's Toolkit produced by DSS Research was mentioned. This resource includes calculators for sample size, sampling error and statistical power. Next year's meeting is 26-28 April in Kristiansand, Norway. The Danish 3R centre has recently chosen three new projects to support, with a total of nearly 1.3 million Danish kroner: in vitro studies of renal blood pressure regulation, the development of in vitro methods to measure protection against intracellular bacteria, and refinements of analgesic techniques in rats. The Centre invites nominations to this year's 3R prize. The deadline is 11 October. This year's annual Symposium is 7-8 November, and will be arranged at Charlottehaven in Copenhagen. The deadline for registration is 24 October. Among the speakers are well-known scientists such as Thomas Hartung, who has held presentations for Norecopa. 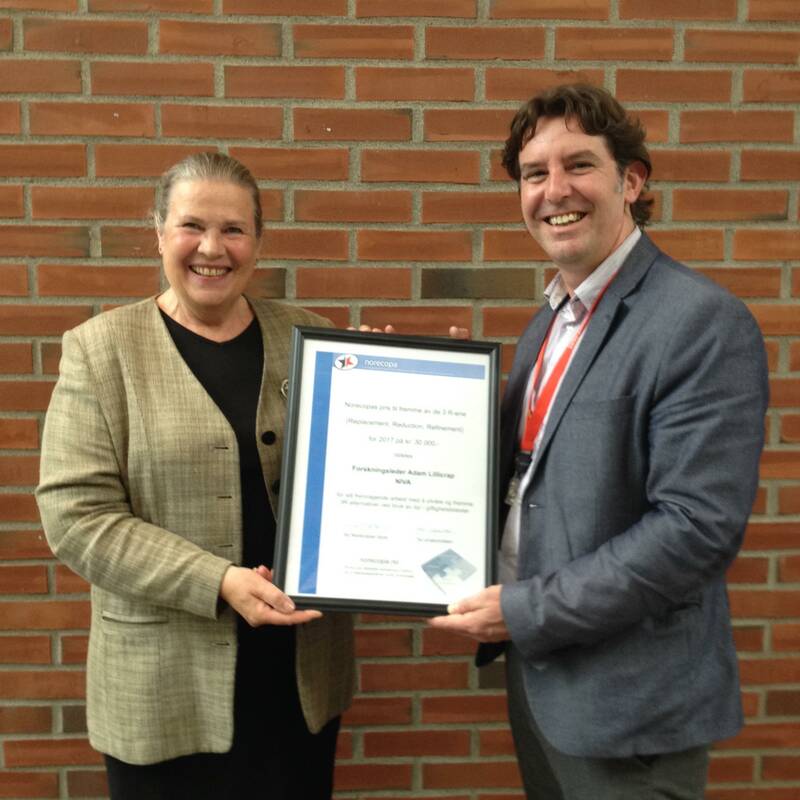 Norecopa has close ties with the Danish centre, not least because Norecopa's secretary is currently a Board member. The Danish Ministry of Environment and Food is now inviting applications for a position on the Board for the next 4-year period, from 1 November 2017. Board members also act as the National Committee for the protection of animals used for scientific purposes (Udvalget for Forsøgsdyr og alternativer). A new centre for the three Rs has opened at the University of Windsor in Ontario, Canada. 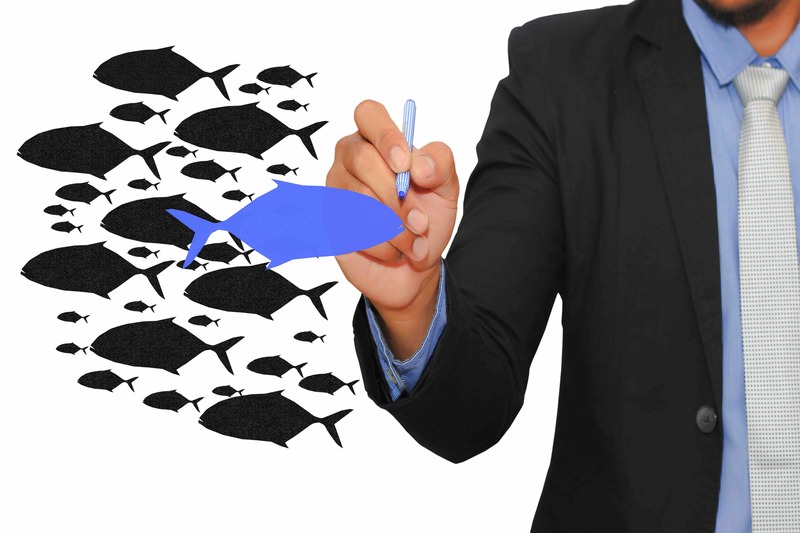 A free online platform for researchers to perform systematic reviews and meta-analysis of animal studies has been produced by the CAMARADES group. The platform is known as SyRF (Systematic Review Facility). 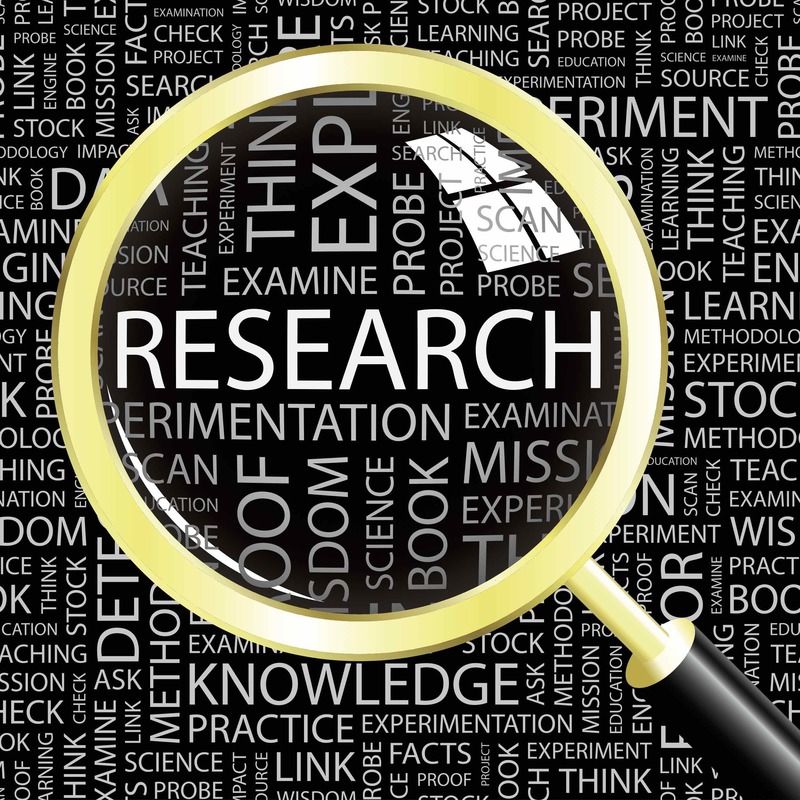 More resources about literature searching and systematic reviews are available on Norecopa's website. The Swiss 3R Research Foundation has published its annual report for 2016. It will not be awarding new grants in 2017, since the two sponsors have discontinued their support, pending the creation of a new 3R centre. The Swedish Board of Agriculture has constructed a website, currently only in Swedish, about the new Swedish 3R centre which will be officially opened in November this year. Nominations for the 2017 Lush Prize for animal-free testing, especially within toxicological research, are open until 24 July. The Dutch National Committee for the protection of animals used for scientific purposes, NCad, has created a whiteboard animation in support of its advisory report to the Government on the potential for the Netherlands to become a world leader in innovation without laboratory animals by 2025. The UK Government has released a consolidated version of the Animals (Scientific Procedures) Act of 1986. Norecopa has registered a wide range of meetings and workshops to be held this Autumn: links to all of these are available in our Meetings Calendar. One which is likely to be very popular is a workshop on Laboratory Animal Anaesthesia and Perioperative Care, arranged by Professors Paul Flecknell and Eddie Clutton in Newcastle in September. The course includes a practical session on the use of monitoring apparatus (using human subjects) and problem-based group discussions. The content is aimed at a wide audience, including veterinary, technical and scientific staff. The workshop provides an update on current best practice, and offers practical solutions to some of the common problems encountered when anaesthetising animals in a research setting. We also maintain a list of Past Meetings. This is not just of historical interest, because their websites, if they are not shut down, often contain resources which retain their value after the event. Norecopa's search engine indexes this list, as it does with the rest of the Norecopa website. Scientists at Cambridge University have used Artificial Intelligence technology to design a system for assessing pain levels in sheep. The system builds upon experience gained in developing a Sheep Pain Facial Expression Scale (SPFES). The SPFES is based on facial expressions of sheep, and has been shown to recognise pain with high accuracy. However, training people to use the tool can be time-consuming and individual bias can lead to inconsistent scores. It is hoped that this new system will make it possible to automate the process. An English-language article and a video film are in preparation. The UK organisation Understanding Animal Research (UAR) has published a website with 360 degree virtual tours of four UK animal facilities: labanimaltour.org. Users can navigate through the facility, clicking on icons to access videos and textual information. The main UAR website has a great deal of educational material, designed for the general public. Guidance designed to help Universities to construct webpages explaining animal research and the three Rs has also been produced by the UK organisation NC3Rs. The June issue (Volume 7, issue 6) of the journal Animals has papers on the long-term physiological and behavioural effects of housing and enrichment in rats, salmon and equine welfare, and exotic pets. All of these papers are directly or indirectly relevant to animal research involving these species. Canadian and Norwegian researchers studying brown bears have published a comparison of two anaesthetic drug combinations for immobilisation. They demonstrate elegantly that it is possible to use randomised, double-blinded design in field research, not just in the laboratory. The choice of meetings, congresses and opportunities for continuing professional development in 2017 is impressive. One of the largest meetings is the 10th World Congress on Alternatives and Animal Use in the Life Sciences, in Seattle in August. We have constructed a comprehensive Meetings Calendar on Norecopa's website. The Calendar is updated weekly. 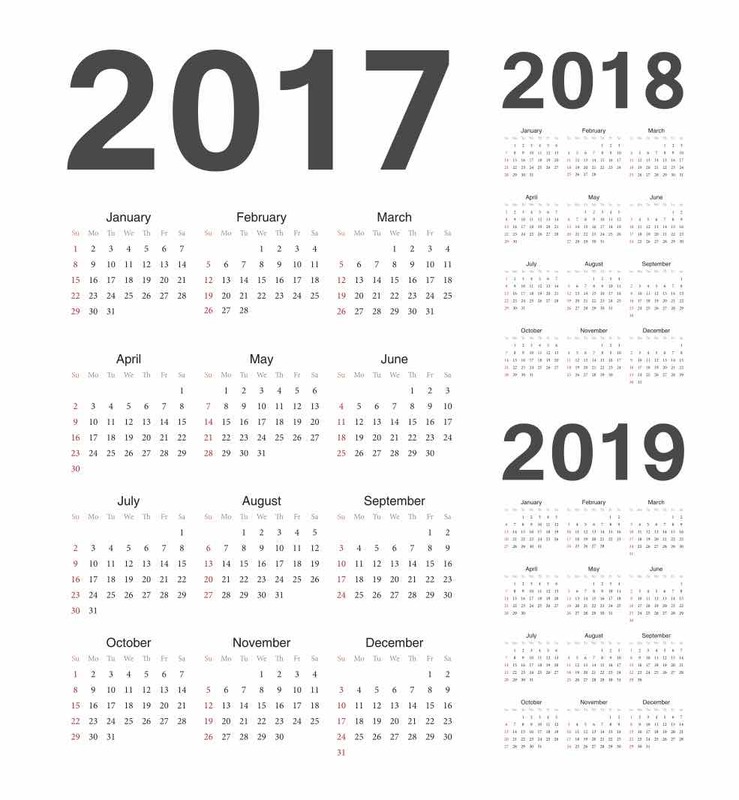 In addition, Norecopa maintains a page with an overview of the consensus meetings which we have arranged, as well as links to the meetings calendars of other organisations.